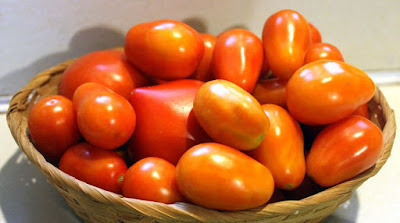 Our little raised bed kitchen garden has been exploding with some small Roma (plum) tomatoes, and I needed something to do with them besides eating them. 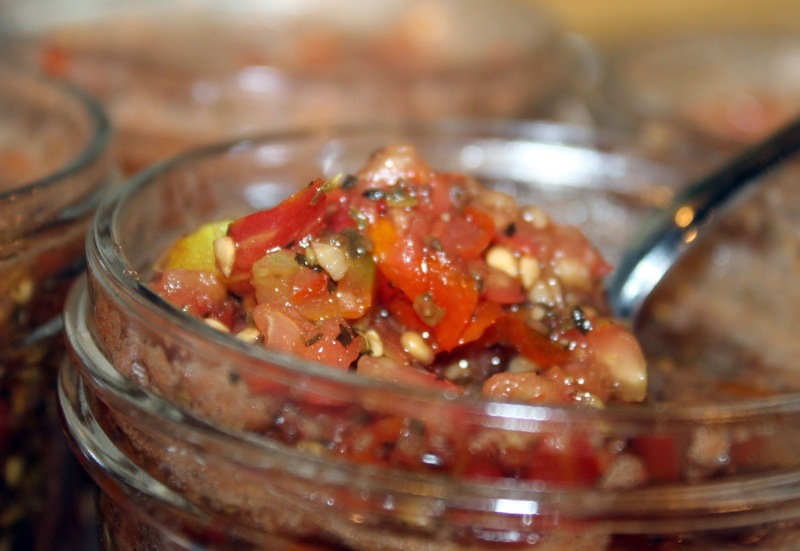 I'd already made Pico de Gallo Salsa, and Petite Diced Tomatoes, but then I ran across this recipe for Tomato Bruschetta ... ohhhhhh that would be awesome to just grab a jar out and use, and so began this next canning project, which really went quickly! Next time I want some bruschetta, it's going to be a cinch to assemble. It would also be great as an accompaniment on a cheese board with a variety of cheeses and crackers. Combine garlic, wine, wine vinegar, water, sugar, basil, oregano and balsamic vinegar. Bring to a full rolling boil over high heat, stirring occasionally. Reduce heat, cover and simmer 5 minutes or until garlic is heated through. Remove from heat. 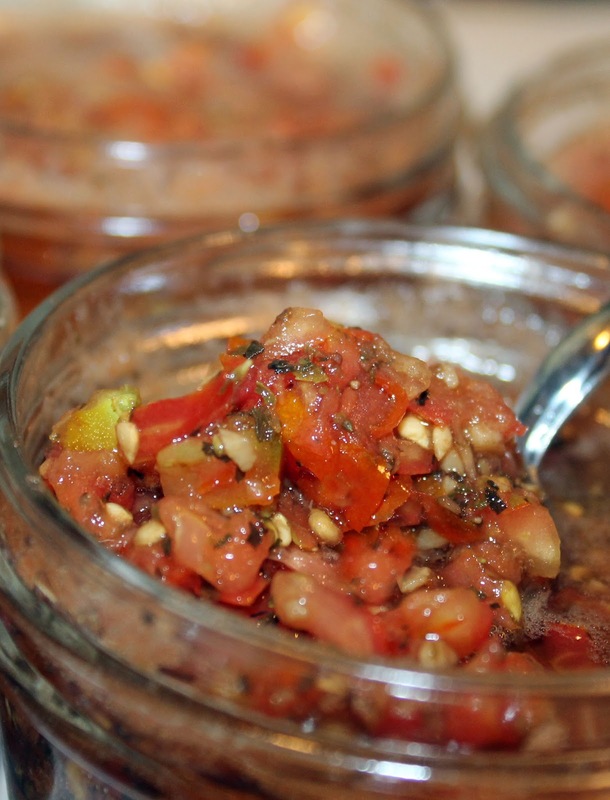 Pack chopped tomatoes into hot jars leaving 1/2-inch head-space. Ladle hot vinegar mixture over tomatoes leaving 1/2-inch head-space. Remove air bubbles. Wipe rim. Cover with lids and rings. 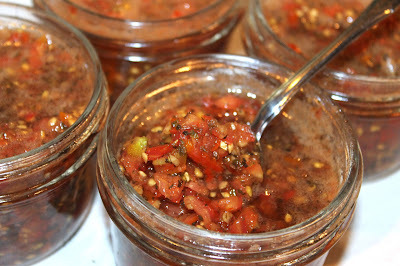 Process filled jars in a boiling water bath or steam canner for 20 minutes, adjusting for altitude. Remove jars and cool. Check lids for seal after 24 hours. Lid should not flex up and down when center is pressed.